Produced and hosted by sales/customer service/leadership expert Steve Ferrante, CEO of Sale Away LLC. and Tire Review & Shop Owner magazine’s contributing “Selling Smart” editor, this highly-acclaimed training program is, first and foremost, about being the best! 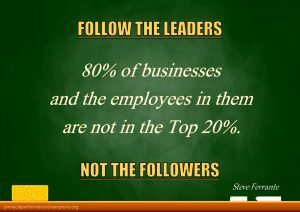 The fact is 80% of businesses and the employees in them are not in the Top 20%. It would be mathematically impossible. Pinnacle Performance Training is about that Top 20%! Participants will learn what high-achievers and retail/service industry leaders are doing to achieve peak performance and market superiority, why they’re doing it, and how to apply world-class sales and customer service best practices, processes and principles in your tire and auto service business! The training choice of top shops across North America, Pinnacle Performance is designed specifically for progressive independent tire/auto service businesses. 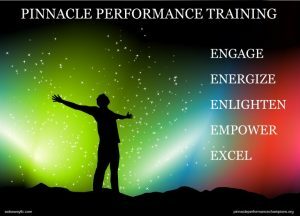 Pinnacle Performance explores common challenges that obstruct the performance and potential of the typical tire and auto service business management and supporting staff and delivers proven methodology and techniques to improve customer relations, corporate culture and produce greater sales results! The training program is intended and beneficial for every employee that interacts with customers, from the novice counter salesperson to the most experienced store manager. *Leader Lessons: Best practices and methodology of World-Class sales and customer service organizations and how to apply them to win against the competition in your market! *The Essential Elements of Extraordinary Service: What customers must receive from your business and what to do to win and retain their business. *Success principles of High-Achievers and how to apply them for greater productivity and performance! 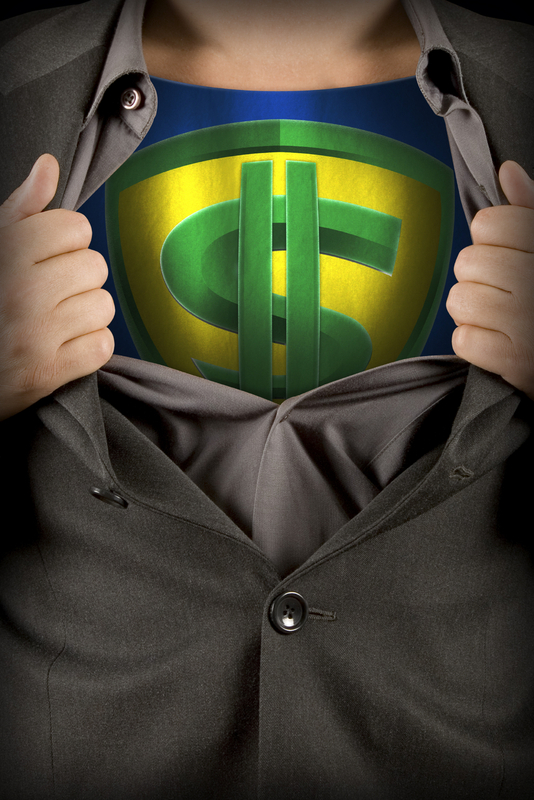 *How to create and Sell Value to discount less and sell more profitably! *Creating a Winning Team Culture for Increased Morale, Motivation & Productivity! *Proven communication and relations skills to Build Rapport/Trust and Positively Engage Customers! *Exclusive Pinnacle Performance sales process to most effectively manage customer/employee phone interactions and consistently convert more calls into sales! *How to increase customer loyalty, generate more referrals, and win more new customers! *Effectively managing customer complaints and problems, and more! Private, Tailored Training Sessions For Your Tire/Auto Service Business! For multiple location tire/auto service businesses with sales/service staffs of 20 and more, the personalized attention of a private (at your facility) training program is highly recommended. This arrangement is conducted over a 2-4 day engagement with the identical training program each day, allowing you to maintain store coverage by sending 1/2, 1/3 or 1/4 of your designated staff per session. Pinnacle Performance Training sessions normally begin at 8:30AM and end at 4:30PM. Doors open and continental breakfast can be served beginning at 8:00AM. Mid-morning and mid-afternoon 15 minute breaks will be taken. 45min-1hr will be allocated for lunch at the client’s discretion. If your facility is not large enough to accommodate your group comfortably and/or you desire to get away from potentially bothersome in-house distractions, we highly recommend reserving a hotel or conference center to conduct the program with the best central access for your participating team members. As Positively Impactful as the initial Pinnacle Performance Training is, no 1-day training program can produce sustainable, long-term benefits. First let me say there is not someone holding a gun to my head to write this letter –it is a positive referral for training (which is not typical from me). Training for us is always done with great hesitation because we have all endured some pretty rotten training and usually doubt it is worth the expense of taking guys out of our stores for an entire day. We know we compromise business because of the light coverage, so the training has to be worth the risk. Steve’s is. Steve’s “Pinnacle Performance” training was refreshing, not only for all the store managers and assistants we sent for the day long sessions, but also for Rick and me. You could call any one of our guys and get a raving review of the training –it is extremely effective. We were very very pleased not only with the content, but also Steve’s connection with our group as a highly accredited trainer who is from an automotive family –the perfect combination for stores like ours. Steve’s automotive background and “car guy” standing really helped the interaction because he has a real world appreciation of what our guys go through on a daily basis.